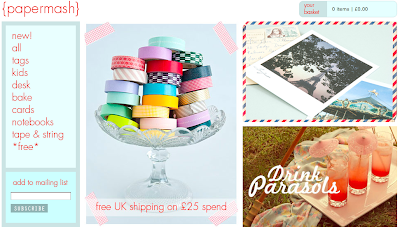 This gorgeous little website has some of the most lovely stationary and crafty bits I have ever seen! I want all of the different tapes, and the doilies, and twine...and everything else! They also have two free project sheets to download, doily drinks parasols, and valentines straws! 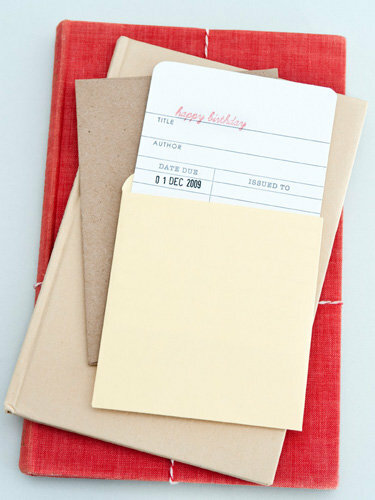 I have a friend who will adore this vintage library card birthday card, they will even stamp the date into the "date due" box for you!